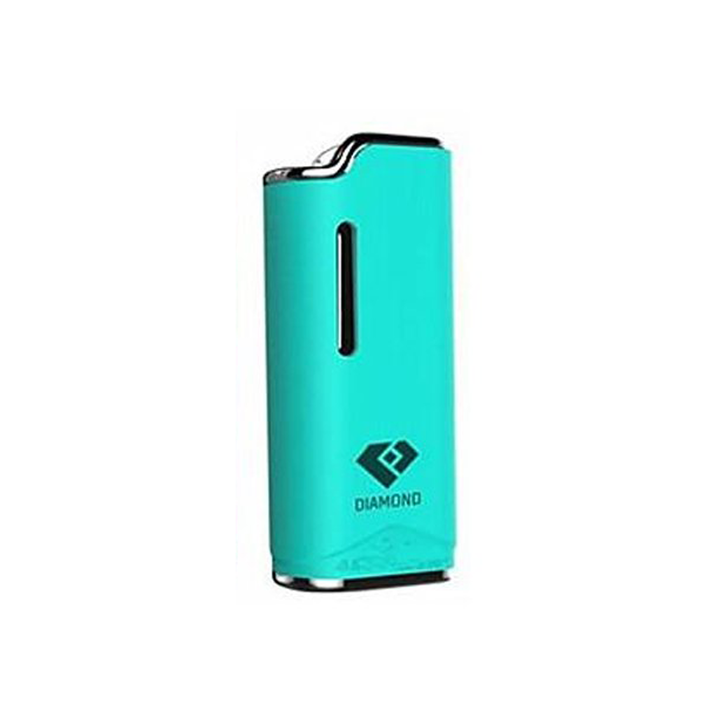 The Diamond Auto Battery features a lightweight redesigned body and innovative automatic firing mechanism for convenient use on the move. This version is about 1/8th of an inch smaller in length and width than previous models. 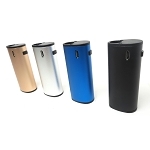 The manufacturer also added a soft finish over the all metal body with a more lightweight yet equally durable construction. Throwing it into a pants or jacket pocket is super easy for comfortable travel. Airistech's Diamond comes with a heating attachment that can be interchanged with most other similar 510 threaded attachments on the market up to just over 10.5mm in diameter. 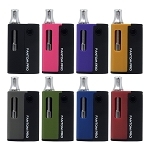 It also utilizes a convenient magnetic connection system and includes two of the mini magnetic adapter rings that makes replacing your attachments a quick and simple process. Simply thread the magnetic adapter on to the bottom of your attachment, drop it into the housing and the magnetic connection will do the rest. When time to change attachments, just pull it out, drop in a new one and you are back up and running in just a matter of seconds. 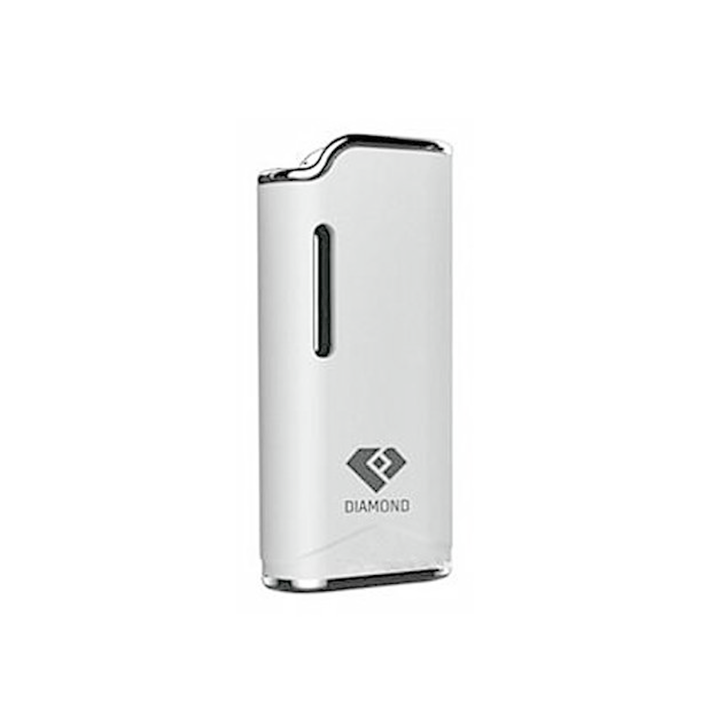 The Diamond is powered by an embedded lithium-ion battery that features a 280mAh capacity. 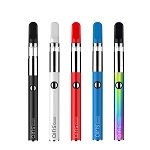 This battery will function all day long before eventually needing a recharge and when that time comes the included USB charging cable will help to achieve a full recharge in just a couple of hours. 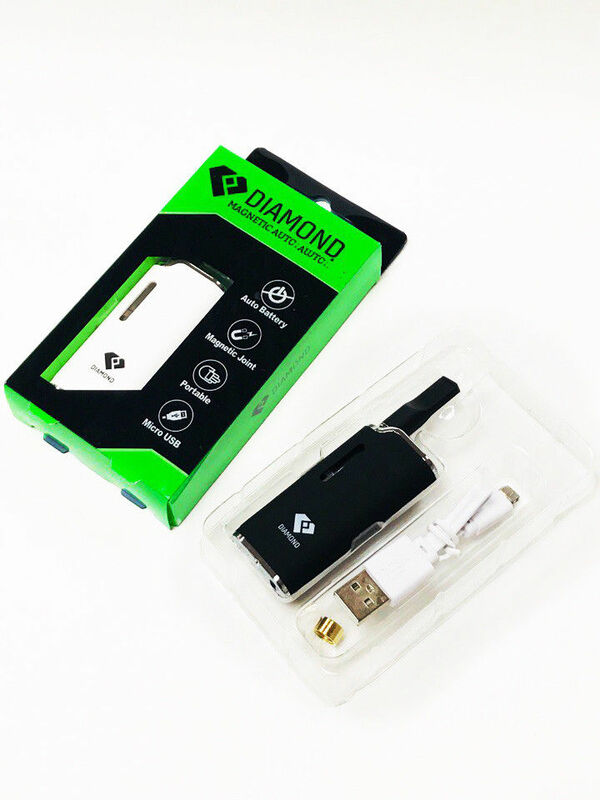 If you simply cannot wait that time, the Diamond supports the innovative pass-through charging function that will allow you to continue enjoying your device while you recharge. One of the most notable features this device has is it's unique automatic firing mechanism. 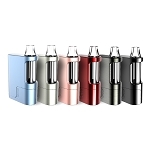 This firing method removes the need for any buttons on the device. After 10 seconds of heating the Diamond will automatically pause for a few seconds to help preserve to prevent over-heating. 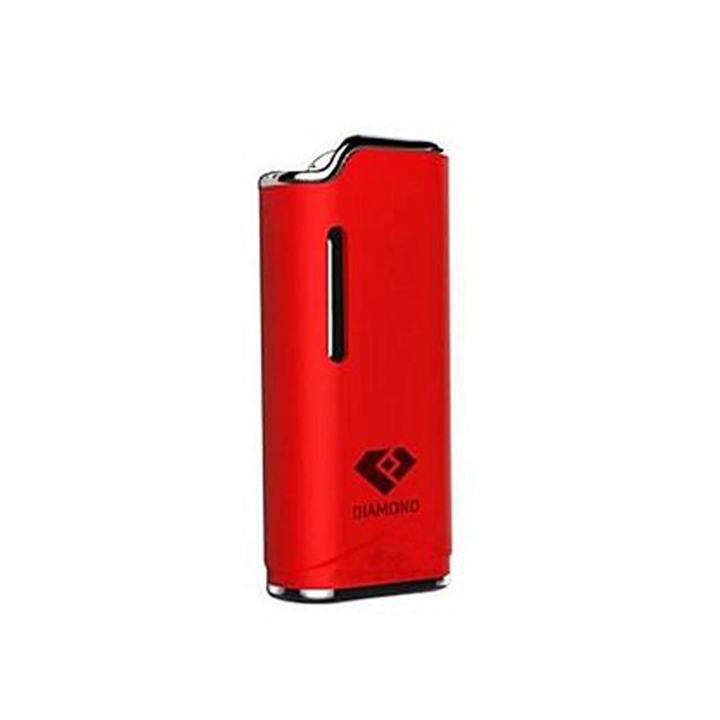 This cutting-edge device also features a bottom facing LED light indicator that will shine red when the device is firing properly or when it has reached a full recharge. The maker also implements a bottom airflow system. Finally, a convenient viewing window can be found on either side of the device that grants you a clear view inside. 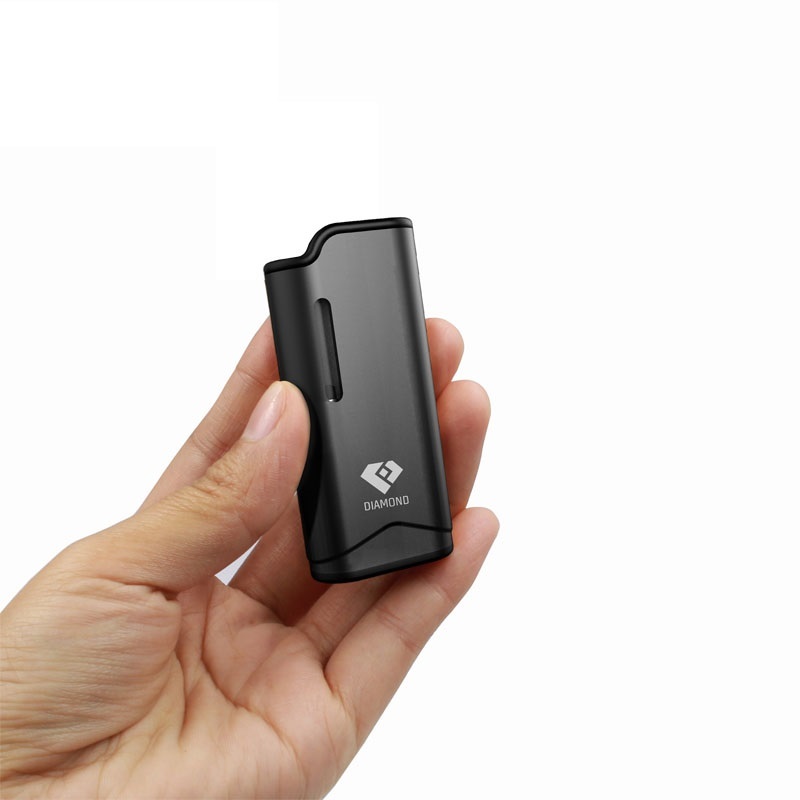 At any moment you can quickly glance down and check your levels without having to open or take apart the device, perfect for discreet use on the go. 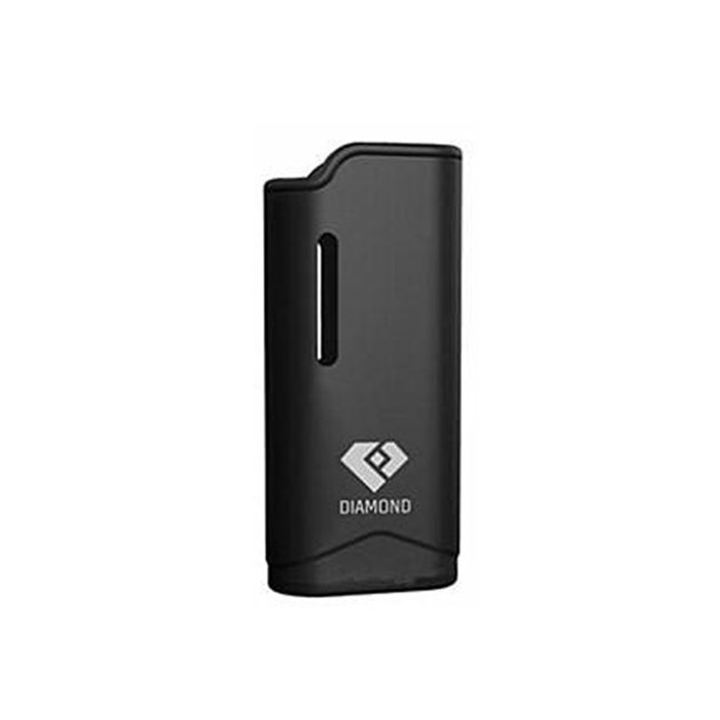 If you are in the market for an easy to use, versatile and stealthy device, consider investing the Diamond. 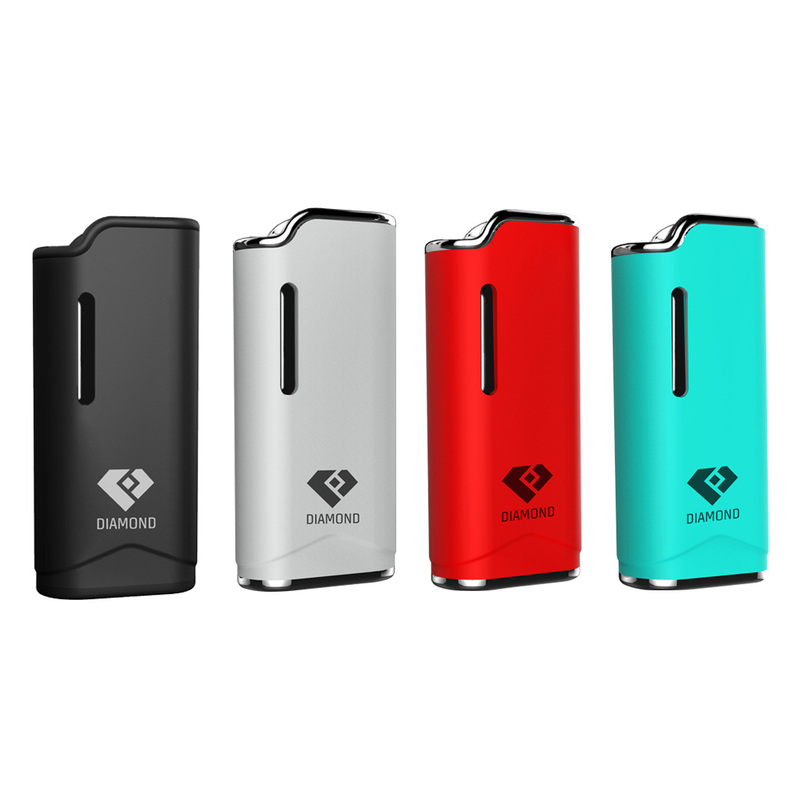 With a smaller size, a more affordable price, improved functionality and all new eye-catching color options it is guaranteed to impress. Upgrade to a display case of 12 kits (see images) for extra savings and free 2-3 day Priority shipping. Great Product! Super convenient, discreet and efficient. Cant speak enough on the good qualities. Definitely recommend to all looking for a cartridge battery. Thank you again!!! !